It is time for the announcement that everyone has been waiting for. The historic maritime city of Liverpool is officially confirmed today as the Start and Finish partner of the Clipper 2017-18 Race, with Race Start day set for Sunday 20 August 2017. 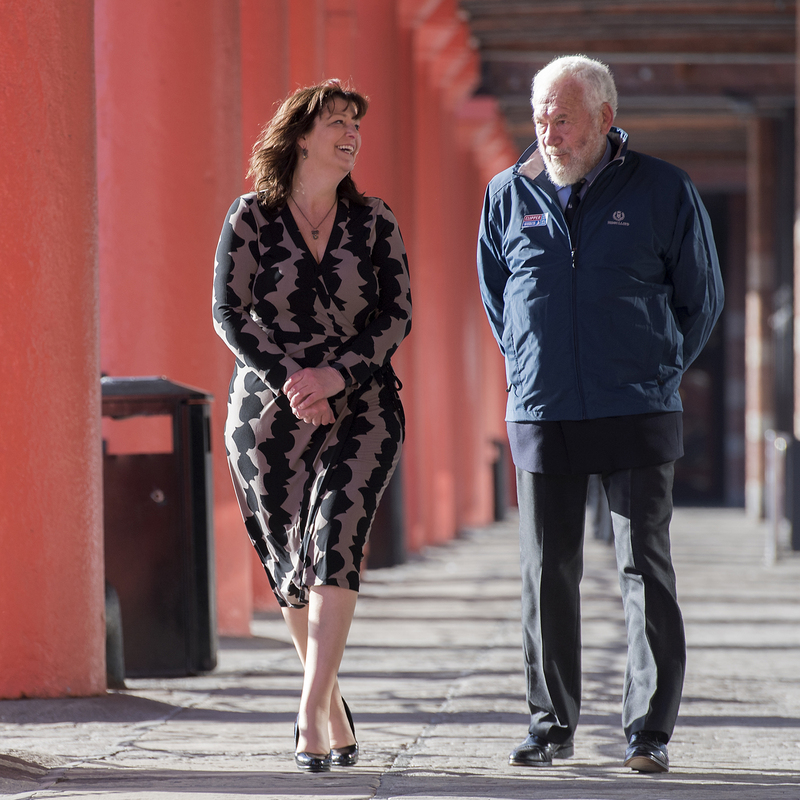 Chairman Sir Robin Knox-Johnston, who is in Albert Dock today to reveal the news, says: “We are thrilled to announce that the Clipper Race is returning to the historic city of Liverpool. A significant site for UK maritime history, I fondly remember the warm reception we received when Liverpool last hosted the Clipper Race and am looking forward to returning to Albert Dock again this August. Liverpool will utilise the race's global platform to raise its international profile and maritime legacy, hoping to inspire the next generation of sailors and seafaring enthusiasts in the waterfront city. It also aims to promote its cultural heritage on the world stage to position the city as the home of large scale cultural events that are accessible for all – reinforced at the moment as Liverpool bids to be the UK host for the 2022 Commonwealth Games. Mayor of Liverpool, Joe Anderson, says: “It is a huge coup for Liverpool to once again play host to the start and finish of this prestigious race. “This city embraces and thrives on maritime spectacles - our affinity with the River is always much-celebrated and being the start and finish partner of the Clipper 2017-18 Race is sure to attract thousands to our world-famous waterfront." He added: “Staging an event of this calibre puts the city once again on an international platform – and this now being our fourth time welcoming this event, it really feels like we are the home of the Clipper Race. Liverpool has not only made a unique contribution to world commerce and culture, it has one of the world’s great waterfronts, with Albert Dock part of a designated UNESCO World Heritage Site in the city. Aside from Liverpool, the only other cities in the world that have arrival ports in the heart of the city are Sydney, New York, and Shanghai. Sue Grindrod, chief executive, Albert Dock Liverpool, says: “The Clipper 2017-18 Race Start is going to be yet another spectacular event at Albert Dock this summer for our visitors. The Clipper 2017-18 Race will mark the fourth-time Liverpool has hosted the Clipper Race in its eleven editions, making the city the event’s most frequented start and finish port ever. Liverpool previously hosted the start and finish for the 2002-03, 2005-06 and 2007-08 race editions in the lead up to it being named European Capital of Culture in 2008. You can join in the festivities and welcome the Clipper Race fleet when it arrives in Liverpool on Monday 14 August. Events and activities will be held throughout the week leading up to Race Start, with a full schedule of all the entertainment to be released in the coming months. Don't miss the boat! There are a still a few final spots for crew to join the upcoming edition of the race, and we're also taking applications for the 2019-20 race edition. No previous sailing experience is required as full training is provided. Click here to find our more.